Nordstrom, Arby's, BarkBox incorporate trends into their posts. One way brands can see high engagement on their Facebook posts is to turn to topics that are trending on the platform. Last week, brands that successfully embraced trends in their posts saw the most Facebook shares. Nordstrom posted about a trending shoe, Arby's artistically alluded to a popular game announcement and BarkBox used a trending hashtag on International Women's Day to reach consumers. The branded Facebook post that received the most shares last week belonged to Nordstrom. 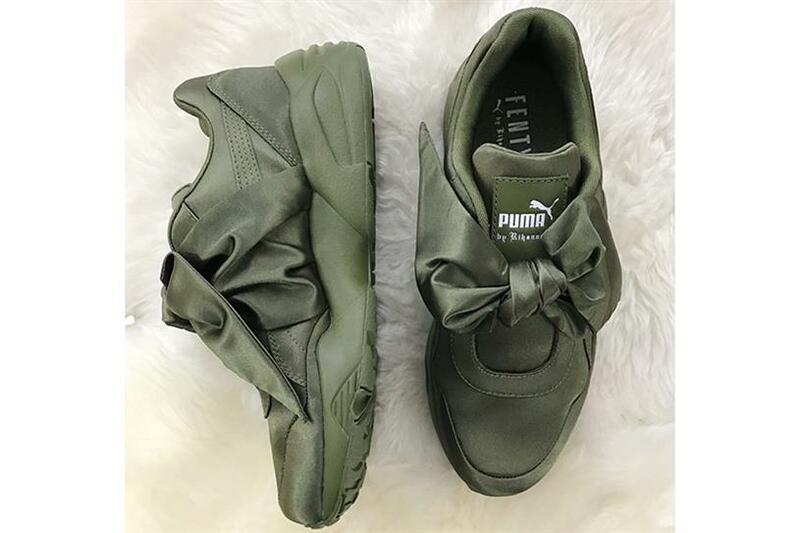 Last Thursday, the retailer introduced the latest shoes to its Fenty and Puma collection designed by Rihanna in a post that saw 67,784 shares. One pair, drawing on Rihanna’s love of bows, are pictured in the post in camo green. Her new line of shoes have been gathering attention in the press since the singer and designer showed them at Paris Fashion Week last week. Obviously, Nordstrom is on top of the trend, and even added a little pun to its post, introducing the Marie Antoinette-inspired shoes by writing "Bow-down." The post also saw 196,000 reactions and 15,000 comments. Arby’s is a brand that eludes fun by playing with its food. In most of its Facebook posts, the fast food chain alludes to a video game that its audience, apparently made up of a lot of gamers, is talking about. In this video post that brought in 28,607 shares, 2.2 million views, 85,000 reactions and 7,600 comments, Arby’s places a reference to "Kingdom Hearts," timed to the announcement of when "Kingdom Hearts 3" will be released. The posts definitely strike a chord. In comments, Facebook users praised Arby’s social media and marketing teams. As one commentator wrote, "Arby’s, you are really hitting the geeks and nerds hard with your simple, yet deeply enriched ads! I think I might just get me a Ruben sandwich today because of it!" Another wrote, "Other fast food companies need to take note as you have caught my attention with your ads more times the last few months than others have in years. Never stop being awesome!" In a Facebook post that generated 60,239 shares, Pillsbury connected with followers by showing a hyperlapsed cooking tutorial on how to make key lime pie bars and linked out to the full recipe online. These cooking videos have done well for the brand as well as many others on Facebook and platform users have come to expect seeing these type of videos. This post also saw 1.7 million views, 12,000 reactions and 704 comments. Celebrating International Women's Day, BarkBox posted a video meme of a woman coddling her dog. In the post that saw 37,952 shares, the brand wrote, "Shout out to all the dog moms out there" with the hashtag #InternationalWomensDay, which was the number one trending hashtag on Facebook on the holiday. The post also received 2.5 million views, 39,000 reactions and 12,000 comments. In a post that generated 16,722 shares, LG promoted its G6 phone with a 1:30 video all about trying spicy food. In the post the brand connected the video to the phone by writing, "When you're trying new things and taking on the hottest challenges, capture every moment on the LG G6." The post also received 17 million views, 38,000 reactions and 5,000 comments.